My obsession with Johann Arndt’s Wahren Christentum (True Christianity) began in July of 2015 when my son, Andrew, wrote an article about Andreas Hagenbuch’s will. I learned at that time that Andreas had willed this very special book to his youngest son, John. I began asking myself questions: Why was it willed to John? Was Andreas really a strong believer in Lutheran pietism? What happened to the book after John gained possession? Does the book exist today? During the three years since Andrew and I first became aware of the book, much has been written about it on Hagenbuch.org. Of course, I purchased an English translation of it so I could find out more about its contents and what Andreas was reading. From what little we know about Andreas’ association with the Rosenthal (New Bethel) Lutheran church near the family homestead and the 18th century Lutheran church in general, I certainly believe he was an advocate of Arndt’s pietist writings, which were not in good standing with the Lutheran church at that time. As Andrew and I wrote more articles about the book—incorporating its existence into the everyday life of our Hagenbuch family—my imagination took over. 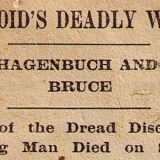 Readers of our articles know that Andrew and I continually find coincidences and mysteries in the story of the Hagenbuchs. 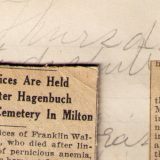 In the past three years I have contacted historical libraries and societies in the areas where our Hagenbuch ancestors lived in hopes of finding a clue to the whereabouts of the actual book. There are ancient copies of Wahren Christentum housed at libraries, societies, and at Gettysburg Seminary. 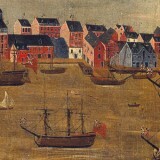 Some of the copies found were printed in Germany, others in Philadelphia; All were published in the 17th and 18th centuries. But as of now, I have not found one that might fit the description of Wahren Christentum which Andreas and his son, John, owned. My hope in the search was to find a copy written before 1785 when Andreas died. (Though, it is my thought that he had it years before his death, maybe even bringing it with him to America from Germany in 1737.) Perhaps, the copy would have an inscription inside that would link it to either Andreas or John. Still, all of my inquiries have come to a dead end. Always in the back of my mind is the thought that the book must be out there somewhere. I can’t believe that John would have destroyed it. I want to believe that he passed it on to one of his sons. These questions keep nagging at me: If John passed it on, which son would he have selected? What would that son have done with the book? Is it lying in some dusty corner of a library, a historical society, or even a church? The story of the book, as I told in the previous four parts, has come from my overactive imagination. With facts in hand, I wrote the story so that it was believable and possible. Of course, much of it is conjecture. Below, listed by each part of the story, are the facts that are interspersed throughout “The Book.” I want to think that someday it will be found and come full circle to what my imagination created. It is then that Andreas’ beloved book, Wahren Christentum, will find its way back to the Hagenbuch family. We do not know if the book came with Andreas from Germany or when he obtained it. We do know that he did not seem to be particularly supportive of the local church, Rosenthal (New Bethel). This leads me to believe that Andreas, as a pietist, was not in favor of the formal church service with robes and embellishments that the founder of American Lutheranism, Henry Muhlenberg, conceived of and enforced. We are not sure how or when Andreas’ second wife, Maria Magdalena, died. The gap between the birth of his son, Christian in 1747 and the birth of the next child several years later, leads one to believe she may have died soon after Christian was born. We do know that John was born to the third wife and, most likely, was the last son to be born. We also know from a description of John in the newspaper advertisement posted when he ran away from his apprenticeship in August of 1785, that he was of medium height and his face was pockmarked. We know that in 1782 John joined the Northampton Militia which was assembled near his brother Christian’s home. Christian was married to Susanna Dreisbach, a cousin to Magdalene Dreisbach—the future wife of John. It makes sense that he went to live with brother Christian, joined the Northampton militia as a young man of 19 and met Magdalene through his brother Christian’s wife. 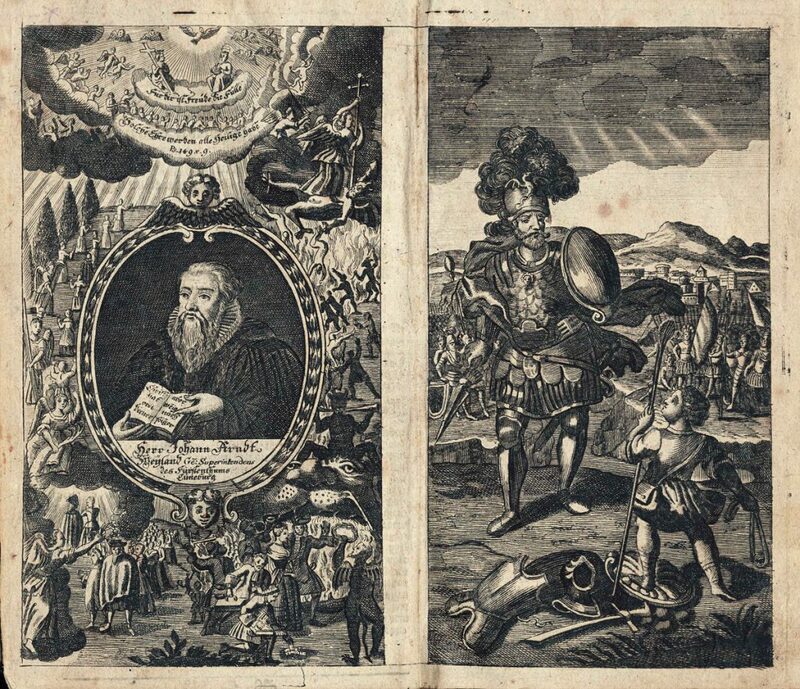 Knowing that Andreas must have looked on Wahren Christentum as a religious book of almost the same importance as the Holy Bible, he would have consulted both books as he faced problems and decisions. The words quoted from Wahren Christentum throughout the four parts of “The Book” are exactly what Andreas would have read and pondered. 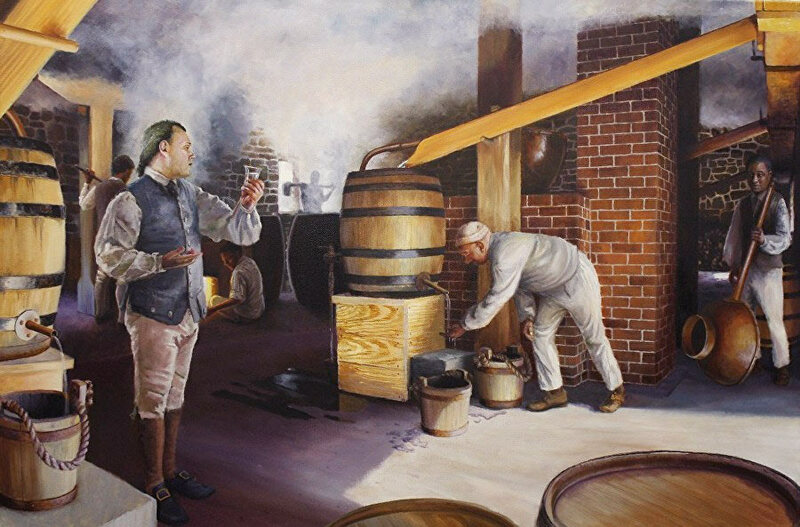 We know that sometime after 1782, John lived at his brother Christian’s home in Northampton County and may have been a saddler and helped with his brother’s distillery. He had five acres of land which was sold to him in 1783 by his father Andreas and he was supposed to “develop” it, per Andreas’ will. He probably did not as he was apprenticed to the Philadelphia tailor Andrew Hertzog sometime soon after that. Christian’s wife, Susannah (Dreisbach) Hagenbuch was a cousin to Magdalene Dreisbach, whom eventually married John. The Dreisbach family was prominent in the part of Northampton County where Christian lived. We do not know what precipitated Andreas’ decision to send John to Philadelphia to serve as an apprentice to Andrew Hertzog. In fact, we are not sure that it was even Andreas’ decision. It may have had something to do with the piece of land which Andreas had sold him. We do know that by 1785 John was an apprenticed tailor to Hertzog. Andrew Hertzog was a reputable tailor in Philadelphia during the mid-1780s, and he made a uniform for John Barry who is later referred to as the Father of the American Navy. Henry Voelker was a tailor in the business with Hertzog. We know from the advertisement about John’s running away that Henry went with him. During the mid and later 1700s, Philadelphia had its share of “red light” districts and irreputable taverns. Gambling and cockfights were common. 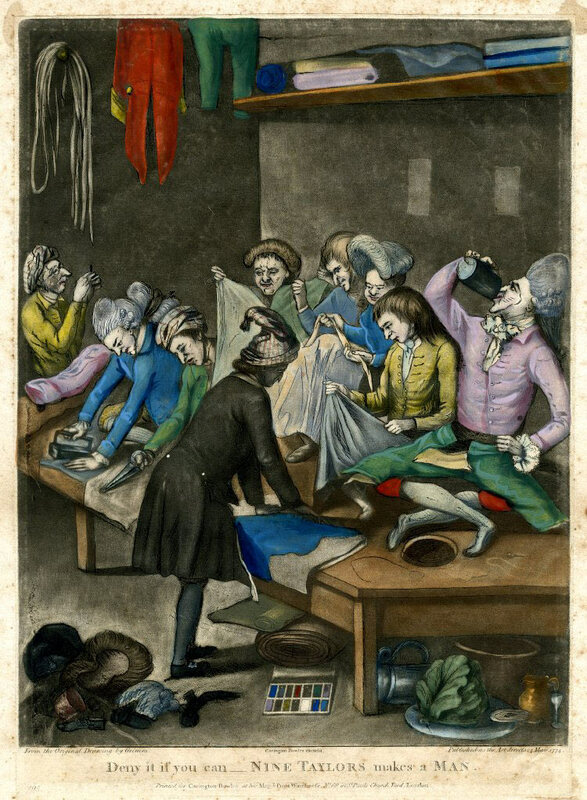 Monsieur de Gersault’s 1769 book was the premier tailoring book of the time. Tailors did sit on top of tables to do their work. Re-enactors who portray 18th century tailors still do this. There are 19 measurements required to make a frock coat. From those measurements a paper pattern was made which was then used to cut out the fabric, baste it, and then do fittings before final hand sewing was done. We know that John Hagenbuch and Henry Voelker left the tailor shop in August of 1785, as Andrew Hertzog advertised John as a runaway apprentice and Voelker was with him. We also know that Andreas died around that time. It is conjecture that John received news of Andreas before he died, which might be the reason he broke his apprenticeship. John is reported through tax assessments as living in Albany Township, Berks County by the end of 1785. The Todd family were wealthy Philadelphians for whom Hertzog may have done tailoring. John Todd was the first husband of Dolly (Payne) Madison. The Willing family were also wealthy Philadelphians, one of the family being young Thomas Willing. The advertisement of John as a runaway describes him as wearing colors of yellow and orange. It is unlikely that an apprentice would have the means to own such clothing. And, it’s improbable if one is running away that he would wear such colorful clothing. But, we know John did! Depending upon the route taken, it is about 60 miles from Philadelphia to Reading and about 30 miles from Reading to Andreas Hagenbuch’s homestead in Albany Township, Berks County. A person walking quickly for 12 hours or so can do 30 miles a day; hence two days from Philadelphia to Reading and 1 long day from Reading to the homestead. We do not know if Henry Voelker ever went to Reading. No information can be found on him other than he left with John from Philadelphia before August 22, 1785. Andreas Hagenbuch definitely was a well-known person in the Berks County area and surrounding counties. He was likely known in Philadelphia, Easton, and Allentown (called Northampton Town at the time). We have no idea if John was there when Andreas died. The death scene is complete fiction. Furthermore, we only know that “the book” was willed to John. We do not know if he received it before the will was probated on September 26, 1785. We know that John’s son Johann Conrad moved to the Delaware Run, Northumberland County area by 1829. Conrad and his son John Phineas “Finis” were members at Delaware Run Lutheran church (also known as the River Church and St. John’s) in 1829. John’s youngest son, Charles, moved there before 1850 because in that year his two eldest sons were confirmed at the River Church. 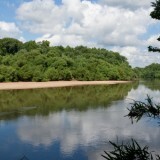 John’s other sons stayed in the Hidlay Church, Columbia County area to raise their families. 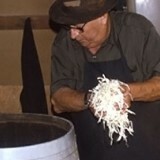 Charles was a blacksmith. Conrad farmed and Finis first owned a hotel at Delaware Run then moved to present day Allenwood where he owned another hotel. Charles’ two eldest children were Artemus and Henry. 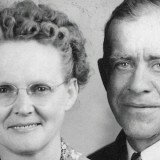 He and wife Elizabeth (Hill) Hagenbuch had eight children together. 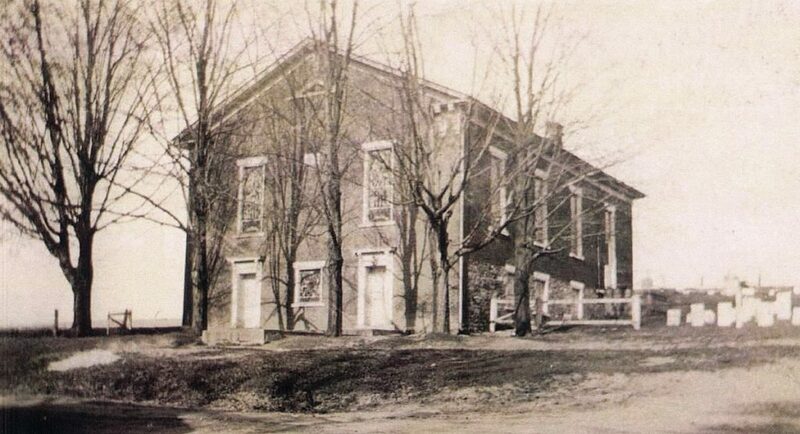 The River Church, now known as Delaware Run, St. John’s Lutheran Church, was built in 1815 and was a log building plastered on the outside. John Hagenbuch died in 1845 and his wife, Magdalene (Dreisbach) Hagenbuch, died in 1830. We do not know if John talked to his children about his father Andreas, about the book he had inherited, or about his life as a soldier and apprenticed tailor. We also do not know if he passed the book on to Charles. Factually, the story of the “the book” ends after it is willed to John in 1785. Andreas had four sons: Henry, Michael, Christian, and John. Andreas sold the homestead property to Michael in 1783. Michael’s son, Jacob, received the homestead after his father’s death. Two of Michael’s other sons, Henry (b. 1772) and Andrew (b. 1785), moved to the Hidlay Church, Columbia County area in 1801 to farm and raise their families. In 1806, Andreas’ youngest son John moved to the Hidlay church area near to his nephews, Henry and Andrew, and purchased 500 acres. 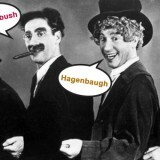 More than likely by the early 1800s, the Hagenbuch family was losing its understanding of German, which is the language of Wahren Christentum. Charles could probably speak and understand Pennsylvania Dutch but reading the German language would have been difficult. 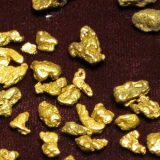 According to the confirmation and communion records found in The River Church, written by Kathi Wertman and published in 2015, we know that Artemus and Henry were confirmed on April 27, 1850 and that Charles took communion on May 27, 1851. Rev. Simon Boyer was the minister of the River Church, St. John’s, from April 1846 until March 1859. 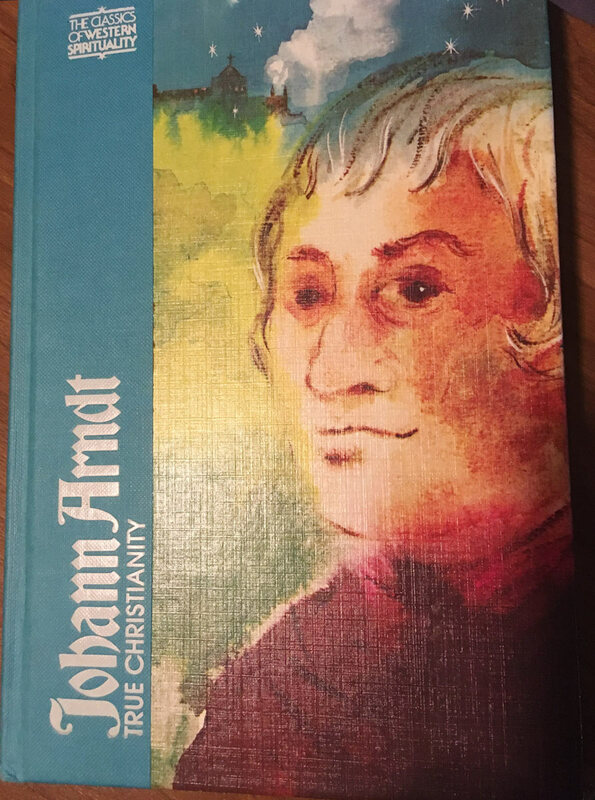 Arndt’s pietist views in Wahren Christentum were not looked on favorably by the American Lutheran Church during the 18th, 19th, and even the 20th centuries. The reason for this was that Henry Muhlenberg formalized the Lutheran religious services, wanted church interiors and exteriors to be ornate, and had Lutheran ministers wearing robes. Pietism was opposed to these practices. It also did not favor worshiping in congregations, giving preference to the individual struggle with guilt from sin. The River Church was redesigned from a log structure into a brick building in 1868. The reverends Albert, Billheimer, and Keller all served there during the years mentioned in Part 4. Charles Hagenbuch died in 1870. He, Conrad, their wives, and some of their children are buried at Delaware Run, St. John’s Lutheran Church. Rev. Roy Gutshall took the charge at St. John’s in 1969. 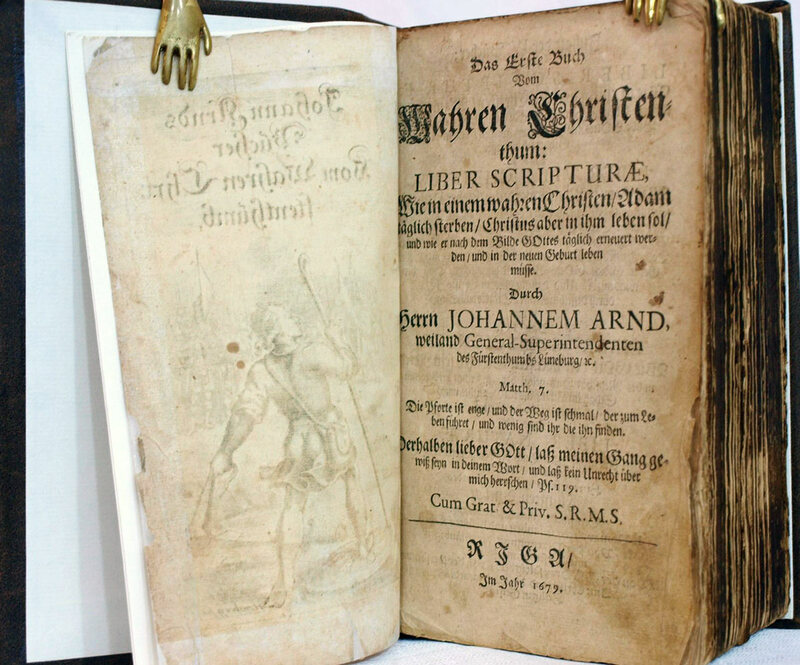 Although the finding of Andreas’ copy of Wahren Christentum is pure fiction, Rev. Gutshall would have been familiar with it and its Pietist doctrine. His daughter, Linda Faye (Gutshall) Hagenbuch was married to me, Mark Hagenbuch on Dec. 21, 1974 by Rev. Gutshall at Delaware Run, St. John’s Lutheran Church. 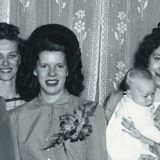 Our three children were baptized by their grandfather, Rev. Gutshall—Andrew and Katie at St. John’s and Julie at the Lutheran church in Lewisburg, PA where Rev. Gutshall was serving as interim pastor in 1986. The reason for the story of “The Book” was to satisfy my belief that someday it will be found, though not in the way implied by the story. Furthermore, I wanted to flesh out the personalities of our Hagenbuch ancestors who knew or may have known the book. 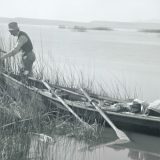 We can only get a sense of our ancestors’ beliefs, feelings, and personalities if we read what they read, walk where they walked, and understand what they understood. Johann Arndt’s book is powerful religion and at least two of our ancestors read it and lived it. I have read most of the English version of Wahren Christentum (True Christianity), and I urge others to obtain a copy. Read it, and it will bring you closer to our ancestor, Andreas Hagenbuch.